A video of a New Zealand couple rescued from an overcrowded Paris tourist trap and spirited off to a capital with elbowroom - Oslo - has gone viral. You may have already seen it. In the video, Kiwis Sam and Marela Glavaš talk about being trapped in a horde of selfie-crazed tourists in front of Leonardo da Vinci’s masterpiece, the Mona Lisa, at the Louvre in Paris. Out of the blue, they receive an invitation for an all-expense-paid, 48-hour escape to Oslo, where they were delighted to find delicious food and drink, urban sights, spectacular views and - not least – plenty of room. If you’ve seen it, you’re far from alone. The Great Escape – Oslo video became a Facebook hit, with 1.6 million views as the time of writing and increasing by the day. It has also drawn the attention of the international news media. VisitOSLO Managing Director Christian Lunde says the idea behind the stunt was to combine a genuine outstretched hand to tourists in need with the making of a clever promotional film for the capital. "It was a collaboration between the advertising agency Trigger and the Oslo Brand Alliance, which consists of VisitOSLO, Oslo Business Region and Oslo Region. We wanted to build on the idea of The Great Escape and followed Instagram in search of disgruntled holiday hashtaggers,” Lunde tells Visit Norway. “Ending up with this particular couple was purely by chance and was largely because they could hop on board at short notice,” he adds. The video opens with shots of a sea of tourists posing for selfies in front of the barely visible Mona Lisa. The Kiwi couple quickly grew fed up with the crowds, the hassle and ‘forests’ of selfie-sticks, according to the video about them fleeing from Paris to Oslo. “We went to the Louvre and we obviously wanted to go see the Mona Lisa. And when we got there, we found that people were the biggest barrier to actually seeing the painting,” says Marela. They vented their frustration on social media under the hashtag #vacayfail, and suddenly had an offer of rescue from the Norwegian capital. They were a little sceptical to start with, Marela admits to Visit Norway. “At first, we thought it was the Louvre contacting me about my Instagram post, but then when we read on and realized it was someone from Oslo. We could not believe it. It sounded too good to be true! I was very suspicious at first but once I spoke to someone on the phone, we decided we would be crazy not to see what Oslo has to offer. The timing was strangely perfect and fitted well with the rest of our plans - it felt like a sign!” she says. Sam and Marela knew nothing about Oslo before they arrived and had no idea what to expect during their two days in the Norwegian capital. However, Marela says they were immediately impressed. “The whole experience was pretty incredible. Experiencing the James Turrell light works at Ekebergparken was pretty unforgettable. We both love his work. Also, we did especially enjoy being treated to delicious modern Norwegian cuisine at the end of each busy day and really appreciated the fact that we probably wouldn't find those meals anywhere else. Brutus and Astral (restaurants) were both incredible. Aside from the places we visited, we met some really lovely people who made us feel so welcome and looked after which really contributed to how much we enjoyed our quick visit,” she says. Over-tourism is a real problem in a number of European holiday destinations. Lunde, the head of VisitOSLO, says that issue was in the back of their minds when they designed the campaign. "In some European cities, they are talking about ‘people pollution’ to the extent that the locals see tourism as a problem. That is not a problem in Oslo. It’s all about hotel capacity and distance between the sights, and, perhaps most of all, the fact that Oslo is a year-round destination. We are keen to showcase the city in the 8 to 10 months outside the peak tourist season,” says Lunde. Some 90 per cent of the 1.6 million views the video has drawn so far were outside Norway, with Japan, Spain and the UK accounting for the bulk of the traffic, says Lunde. But VisitOSLO has also had positive feedback from local patriots. For Sam and Marela, the Oslo tour was a source of inspiration for planning future holidays. “I do think all destinations have their pros and cons though and the key to a great travel experience is balancing more densely-populated places with less known ones. After this experience, though, we are probably more likely to look more carefully into destinations that we've never considered before,” says Marela. “You can experience similar types of attractions (in places like Oslo) but it’s just a lot better without so many people around,” Sam says in the video. Now the Kiwis are eager for another invitation to visit Europe’s far north, Marela tells Visit Norway. “We are keen to explore the rest of Scandinavia as. If anyone wants to bring us back for round two, we're ready! Perhaps a winter edition?” she says. At Brutus you'll get served nature wine by some of the leading nature wine experts in Oslo. 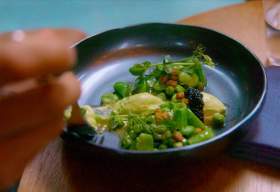 The kitchen, headed by an Icelandic chef, makes tasty dishes based on simple ingredients, with vegetables at the centre. The Astrup Fearnley Collection is a collection of modern and contemporary art counted among the most significant of its kind in Northern Europe. The museum complements works from the permanent collection by rotating exhibitions with internationally renowned artists. The collection focuses on acquiring individual, ground-breaking works. Organic bakery that only utilises fresh and pure ingredients, free of pesticides and additives. Astral serves a large tasting menu based on the tastes and commodities of the season. The food is based on the new Nordic cuisine, but draws inspiration from all over the world. Vippa Oslo is a new food, culture and education centre located at the edge of Vippetangen, right by the Oslo Fjord. Vippa offers food and drinks in great surroundings as well as afterwork, concerts, lectures and other exiting events. Sculpture and national heritage park with a strong international art collection surrounded by beautiful scenery with many spectacular lookout points. Ekebergparken is always open, and is free to visit. Blå is an independent club for live, contemporary jazz, hip-hop, r&b and related sounds; a professional venue dedicated to up-and-coming acts from all over the country, as well as established international artists. SofarSounds is a series of intimate, guest list-based concerts in unique locations in Oslo. The concert venue is revealed one day in advance, but the artists are not revealed until you are actually at the concert venue. The concert venues alternate between private homes, offices, churches, forest areas and museums. 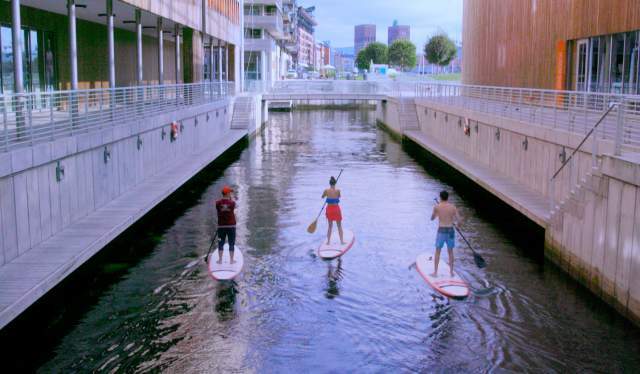 “Urban impressionism” is pianist, composer and comedian Aksel Kolstad’s own description of his standup paddleboard-project taking place in the Oslo Fjord. The experience can be booked through the app Lokalii.